LEVA announced a public comment period for the third edition of their DME best practices guide (find the info here). There are some important / significant changes that have been made that you'll want to be aware of. I would especially advise small agencies and privateers to take note, read the draft, and make your comments before the deadline. After watching the video presentation from Dr. John C. Russ, many readers wrote in to ask specific questions about the procedures that he describes. Today we'll deal with Homomorphic Range Compression. Some folks were trying to duplicate Dr. Russ' work in Photoshop and getting frustrated. They were using Curves and Levels adjustments, but couldn't seem to get the same results. These histogram-based contrast adjustments work differently. You'll need Fovea Pro, a reasonably priced set of plug-ins from Reindeer Graphics, to duplicate Dr. Russ' presentation examples. According to Dr. Russ , Homomorphic Range Compression "... performed using the Fourier transform, uses the magnitude of the power spectrum itself to design a custom filter for each image. The result reduces the overall contrast range of the image but increaes the contrast for those particular frequencies (and orientations) that are most important in the image." Below is an image of a vehicle, shot in an underground parking garage, with a darkened interior. 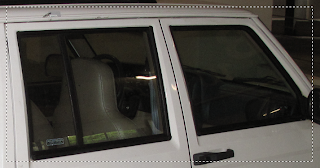 Homomorphic range compression can be utilised to bring out details from within the vehicle. Here's how. Once loaded, select an area of interest using the Marquee Tool and click on Filters>IP•Adjust>Homomorphic Compression. There's no user input, no sliders, nothing to do beyond selecting the filter. Just sit back and wait for the filter to work it's magic. There's a lot more detail visible. With the release of Aperture 3, there's been a lot of buzz. It's funny how times change. When Aperture first came out, folks tried in vain to compare it to Photoshop. They've largely stopped that now. Now, they're focussed on Aperture vs Lightroom. Check out the Lightroom Killer Tips blog for the latest blow-by-blow. "Fifth Circuit holds that “absent novel challenges, fingerprint evidence is sufficiently reliable to satisfy Rule 702 and Daubert,” and a Daubert hearing is not necessarily required, in United States v. John, _ F.3d. _ (5th Cir. Feb. 9, 2010) (No. 08-10459) A recent Fifth Circuit case considered an appeal that contended that the trial court failed to hold a Daubert hearing before admitting fingerprint expert testimony. The circuit noted that whether a Daubert hearing is required before an expert testifies generally lies within the discretion of the trial court and was not required for fingerprint testimony that did not raise any novel issues. In the case, the defendant served as a Citigroup account manager. She accessed the company computers and obtained customer account information which she provided to her half-brother who used the accounts fraudulently. At her trial, the government presented an expert witness who identified her fingerprints on Citigroup documents which were possessed by her half-brother. Following her conviction, she claimed the trial court had “abdicated its gatekeeping function” by not holding a Daubert hearing, under Daubert v. Merrell Dow Pharms., Inc., 509 U.S. 579 (1999)." Watch the Special Layer Tennis Match, Photoshop 20th Edition live today - featuring two designers plus running commentary by John Nack. Click here for details. Check out the film - "Startup Memories" now live on Adobe TV. Produced by Adobe TV and Adobe Content Strategy & Service teams, this 18-minute documentary has the 4 founders of Photoshop telling the story of how it all began 20 years ago. The next scheduled class is set for Thursday, April 29th, 2010 at LA CLEAR in Commerce, Ca. This training is for LE, Fire, and military personnel. ID will be verified. If you are working with images in an LE, fire, or military setting, this class is for you. This class has been approved for 8 hours of credit towards your LEVA certification or continuing education requirement and 8 hours of CA POST credit. Grabbing content from web pages can be a pain for law enforcement. Screen captures, grabbers, and the like promise a good game ... but most have their limitations. A reader wrote in a bit ago to ask about using the WebCapture feature in Adobe Acrobat 9 to grab and save web pages. They were particularly concerned with getting active content on the pages. Here's a link to the PDF Developers' blog that explains what WebCapture can do, and what it cant. The Key Evidence Cases Resource Page highlights noteworthy United States Supreme Court cases involving the Federal Rules of Evidence or other questions of evidence. The Federal Evidence Review has identified several key evidence cases decided by the United States Supreme Court. The cases are listed alphabetically below; many of the cases may be accessed by clicking on the case name. The case may be located by the case name in the first column; the evidence issue or applicable rule of evidence is noted in the second column. The third column summarizes the evidentiary significance of the case. Where possible, the page of the holding is noted in brackets. 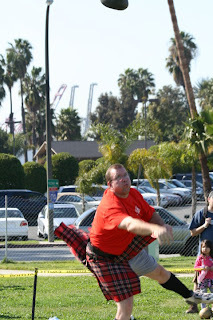 Here's a little something from my weekend at the Queen Mary Highland Games in Long Beach, Ca. 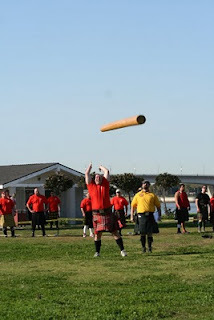 Tossing the 22lb stone for distance. 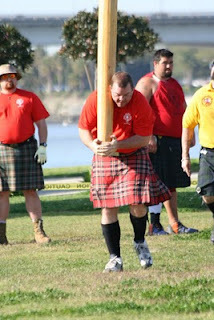 17' 115# Caber. It's an accuracy event. 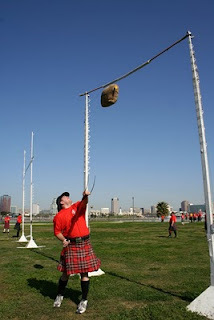 Try a little photogrammetry on the caber. I finished first over-all in my class and had a great time doing it. "In prosecution for conspiring to make and making a pipe bomb, demonstrative video showing three tests, played at three different speeds, was probative to show the devices were “destructive devices” and were not unfairly prejudicial based on the “bare allegation” that the bombs in the video were significantly different than the charged devices, in United States v. Spoerke, 568 F.3d 1236 (11th Cir. May 22, 2009) (No. 08-12910) The use of demonstrative evidence at trial is normally controlled by the court through FRE 611(a). See FRE 611(a) ACN (noting the rule “covers such concerns as … the use of demonstrative evidence”). However, the admissibility of demonstrative exhibits remains subject to being relevant under FRE 401, challenges of unfair prejudice under FRE 403, and authentication under FRE 901. A recent Eleventh Circuit case highlighted the application of FRE 403 to a demonstrative video in a pipe bomb case. In the case, a car was stopped for littering. Defendant Spoerke was a passenger in the front seat and defendant Kramer was the driver, along with other passengers. During the stop, the officer observed what appeared to be “improvised explosive devices” in the vehicle. The occupants also appeared to possess suspected burglary tools. When the officer removed the devices and placed them on the vehicle roof, he asked what they were. The defendant responded that “they were ‘pipe bombs’ that they liked to ‘throw . . . in canals and watch . . . explode.’” Upon the discovery of other tools and materials for making a pipe bomb, the occupants were detained for possessing bombs. A bomb squad arrived and deactivated the devices. The driver acknowledged that the bombs were made at his residence. After further consent to search of the vehicle and two residences, defendants Spoerke and Kramer were charged with conspiring to make destructive devices and making one or more destructive devices. We have previously noted the special problems that may arise when a law enforcement witness provides both expert and lay testimony. See Overcoming Potential Prejudice Concerns In Using A Dual Fact and Expert Law Enforcement Witness; Plain Error Results In Using Dual Fact And Expert Witness; Problem Of Dual Expert and Fact Law Enforcement Testimony Avoided By Steps Taken In Drug Trial. While this dual testimony is not per se inadmissible, unless certain trial precautions are taken, the dual testimony may be subject to challenge on appeal based on the blurring of lay and expert testimony. A recent Ninth Circuit case considered this issue and highlighted the steps that may be taken to avoid possible error." "... Today, we look forward at potential evidence issues in the year ahead. These issues, which are not necessarily ranked in any order, are discussed below: Many involve Congressional recognition or changes to privileges, such as a new qualified reporter privilege or clarifications to the application of the state secret and attorney-client privileges. Other issues concern the application of the Confrontation Clause, and circuit splits on the selective waiver doctrine and the application of the former testimony hearsay exception to exculpatory grand jury testimony." In a recent article, Evidence Technology Magazine explores the outsourcing of forensic evidence processing. Yesterday, I posted a link to Forensic Magazine's article on public / private partnerships. Seeing a theme here? Budgets are shrinking. Backlogs are growing. Agencies are having trouble handling the backlogs and can't hire new staff. Where to turn? Private industry. When it comes to the analysis and clarification of video / image based evidence, I get requests for referrals all the time. Same holds true for audio. I'm starting to see a lot more requests for help with cell phones. Remember, if you are in need of assistance ... and you're from a public or private agency, law firm, or just a citizen in need of help ... I can get you pointed in the right direction. Feel free to send me a note (jimhoerricks (at) gmail (dot) com). The only dumb questions are the ones that go unasked. In an interesting article about public and private agencies working together to clear the DNA backlog, the author brings up an interesting question ... what role does the private industry have in helping the courts clear evidence backlogs and prepare evidence for trial? In the case of DNA, the partnership may be new. But in other areas, it happens all the time. Private firms work cases involving all sorts of physical evidence for the courts - in both civil and criminal matters. Read the article and see for yourself. The evidence shows that privateers have much to offer the justice system. What say you? Not all recordings for trial are clearly audible. As a pragmatic matter, some portions may be more audible than others. A number of factors may contribute to the quality of the recording including the recording device and external or environmental factors (such as a noisy restaurant or busy freeway in the background). At what point does a recording which contains inaudible portions become inadmissible? The Eighth Circuit reviewed a recent claim that the entire recording should have been excluded since some portions were inaudible. In the case, defendant Trogdon was charged with conspiracy to distribute marijuana after an investigation. Police closed his operation, arresting various participants and receiving their cooperation. Ultimately one cooperating participant, named Chapman, agreed to cooperate and wear a recording device during two meetings with the defendant. The recording quality “turned out to be poor, however, because the wire was taped to Chapman's leg, and Chapman's movement during the encounter interfered with the recording process.” Trogdon, 575 F.3d at 764. Before trial, the defendant filed a motion in limine to exclude the audiotape recordings of his two meetings with cooperating witness Chapman in their entirety. The trial court reserved ruling on the motion until any specific portions were offered at trial. At trial, the government introduced the recordings with a transcript. No objection was lodged by the defendant to the recordings. After his conviction, he renewed his challenged to the admission of the recordings based on inaudible passages." "It is important to look, sound, and act the part to be a convincing and effective Expert Witness. It’s not enough to have the right evidence: an Expert Witness must be able to present evidence persuasively without confusing the jury. As an Expert Witness, you must first look like an Expert. This starts before you ever leave home. Here are some simple tips to exude professionalism through your appearance. Begin with a well-tailored business suit, a pressed shirt, and non-descript tie (for males). Ladies, keep the jewelry small and simple. Think professional when selecting your courtroom wardrobe. Darker colors are best for suits with lighter colored shirts. If you are not accustomed to wearing a suit, it will show if you feel uncomfortable. If you are squirming, your unconscious behavior may undermine your testimony. I suggest you wear your suit a couple times before your court appearance. Keep your pockets pinned or sewn closed. This keeps your hands out of your pockets and keeps you from loading pockets with bulky items that jingle. If you need reading glasses, have them easily accessible. Stand with your shoulders over your hips with feet shoulder width apart. Place your hands comfortably at your side, not in your pockets. Walk with a purposeful stride. When sitting, place your buttock into the back of the seat. This will keep you from slouching and will force your body to sit up with a slightly forward lean. Don’t cross your legs above the knees." "The infamous photograph of Lee Harvey Oswald holding a rifle in his backyard would have been nearly impossible to fake, according to a new analysis by a Dartmouth College professor. Oswald, who was shot to death days after being charged with the 1963 assassination of President John F. Kennedy, claimed the photo of him holding a rifle in one hand and Marxist newspapers in the other had been doctored. Over the years, many others have pointed out what appear to be inconsistent lighting and shadows. But Hany Farid, director of the Neukom Institute for Computational Science at Dartmouth, said the shadows are exactly where they should be. "You can never really prove an image is real, but the evidence that people have pointed to that the photo is fake is incorrect," Farid said Thursday. "As an academic and a scientist, I don't like to say it's absolutely authentic ... but it's extremely unlikely to have been a fake." Farid, whose work using digital forensic tools to analyze images often has been used by law enforcement, said he has been getting requests from conspiracy theorists to analyze the photo for years. He said he held off until he had the appropriate software to create three-dimensional models of Oswald's head and surroundings." Read the rest of the story by clicking here. Watch the YouTube Video here. "The California Crime Laboratory Review Task Force has released An Examination of Forensic Science in California, including its observations and recommendations for crime labs in the state. California enacted legislation in October 2007 to review the state’s crime laboratory system with a mandate to the Department of Justice to create and chair the California Crime Laboratory Review Task Force. The Task Force held monthly meetings from December 2007 through September 2009, in which members heard presentations from various organizations and individuals with expertise in crime laboratory oversight, ethics, and management; accreditation and certification; and forensic education and training. The Task Force also drafted a 19-page survey that was sent to each of the major crime labs operated by state, county, or local agencies for their input. Based on the results of these efforts, the Task Force prepared their report, An Examination of Forensic Science in California, with two goals in mind. First, to provide an accurate snapshot of the current condition of government-funded forensic science in California, including descriptions and explanations of both successful and failed delivery of timely, reliable, scientific testing; and second, to recommend steps that state and local policymakers can take to identify and address deficiencies in the field while continuing to support its achievements. The report specifically addressed organization and management, staff and training, certification, funding, performance standards and equipment, and statewide forensic science oversight. The most notable of their recommendations involved certification, funding, and statewide oversight. The Task Force recommended that all persons who practice in a forensic science discipline or testify as a forensic science analyst/examiner should become certified by a reputable certifying body and outlined recommendations on education and certification. They also declared that crime laboratory funding in California is inadequate, unpredictable, and too unstable to meet current demands or expectations of future growth, and that changes to the existing funding to crime laboratories are needed to restore and enhance the effective delivery of forensic science services in California. A fact well known to crime labs throughout the country. Finally, they recommended oversight through a statewide body that would consider issues related to forensic science. The shape this body might take will be revealed in a future report." To read more and get the link to the full report, click here. For those that missed it, here's a link to Dr. John C. Russ' seminar called Image Processing of Forensic Evidence that was part of NC State's Forensic Science Symposium. Thanks to Larry for putting this out there. An excerpt from the seminar. Dr. John C. Russ: "... the image that has been given to me has been compressed with JPEG compression. Don't do that. If you are using a camera that does JPEG compression, sooner or later, there's going to be a cross examination that goes something like this. 'So officer, this picture was taken with a brand X camera that does JPEG compression, right?' 'Right.' 'And JPEG compression, according to the statement of the Joint Photographers Expert Group, is designed to preserve that information which is useful for people to identify familiar objects. Isn't that correct?' 'Well, yes.' 'So it's a lossy technique and it discards information that doesn't help in that situation. Can you show me what information has been discarded from this picture that might be exculpatory for my client?' And of course you can't, because what it throws away depends on the contents of the particular picture. The more detail that's there, the more it throws away. And, at that point, your credibility's been damaged and even if there is information in the picture, it's going to be hard to convince people ..."